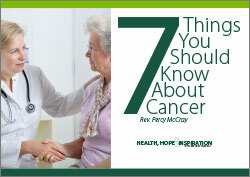 A guide for new patients. 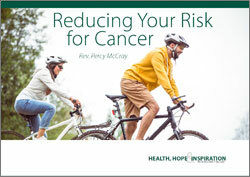 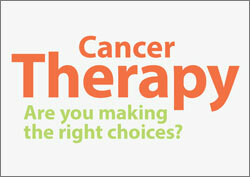 Help for making the right cancer care choices. 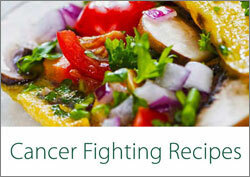 Nutritious and flavorful meal options. 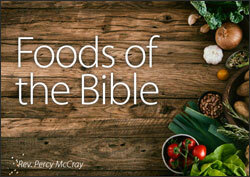 A collection of inspiring quotes and Scriptures. 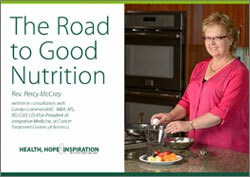 Tips for maintaining good nutrition during cancer treatment. 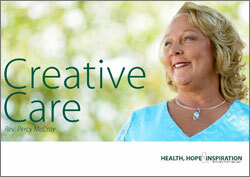 We can promote our own good health through positive lifestyle choices. 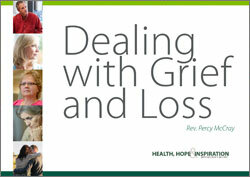 Enabling people to work through grief in a natural way frees them to talk openly about it and process it in a healthy manner. 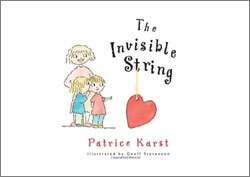 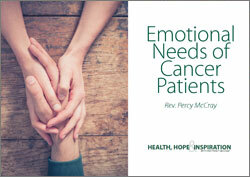 Ideas that can help you show love and compassion in thoughtful and tangible ways. 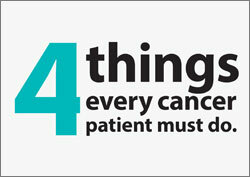 Ways you can proactively bring comfort and support to cancer patients. 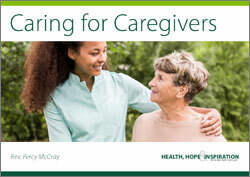 Practical tips for ministering to caregivers. 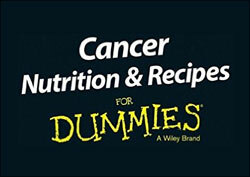 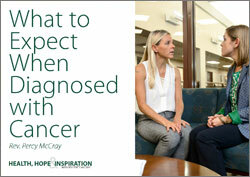 A valuable starting point for what one could possibly expect when diagnosed with cancer. 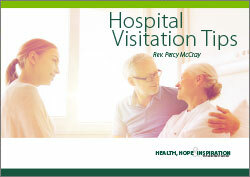 Tips for hospital visitation, a vital part of our calling to minister to the sick. 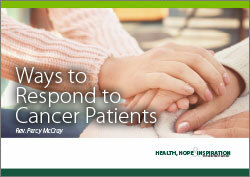 Learn what to say and how to respond to cancer patients in a way that is helpful and hopeful. 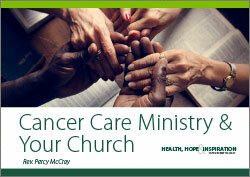 Tools to help the church minister to those impacted by cancer. 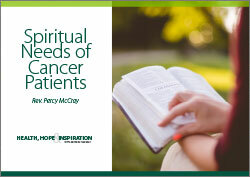 Meeting the spiritual needs of cancer patients by applying scripture to their circumstances. 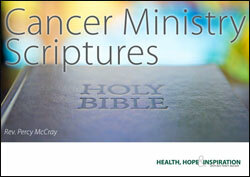 A selection of key scriptures for the spiritual support of patients and caregivers. 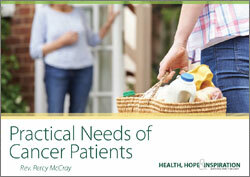 Seven fundamental needs to be aware of when ministering to cancer patients and their families. 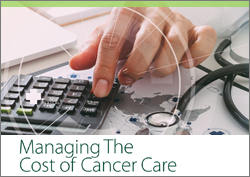 Tips to help manage the cost of cancer so you can focus on more important things. 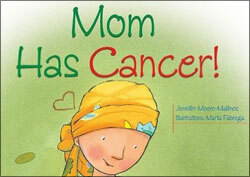 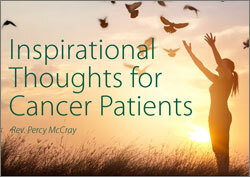 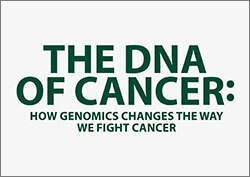 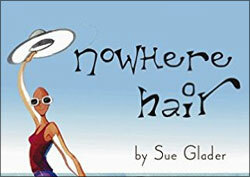 A source of inspiration to help you meet the practical needs of cancer patients. 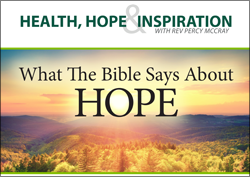 Learn what the scriptures say about true hope.